“Don’t know anything about Vietnam besides Phở? The Southeast Asian Cultural Heritage Society (SEACHS) is presenting its next event: at “Mai Đào: A Glimpse into Vietnamese Culture”, you will have the opportunity to broaden your knowledge of Vietnam through a delightful evening full of dance, music and theatre. Not only will this event present our beautiful culture to Canada’s multicultural community, but it will also nourish the cultural connections between Vietnamese Canadians and their homeland. Starting at 7pm on Saturday October 27th 2018 at the Norman Rothstein Theatre, this event will feature various performances by artists such as composer and dan bau player Bic Hoang, the Vancouver Inter-Cultural Orchestra (VICO), the Bánh Mì Barbershop, Gathering and Singing music band, performers of SEACHS, artist Thái-Hoà Lê, singer Huyền-Trang Nguyễn, stage director Dennis Gupa, as well as with the special participation of playwright, stage director and actress Minh-Ngọc Nguyễn. This evening will be followed by a workshop on Sunday October 28th 2018 (further information will be provided). We would like to acknowledge that this event will be taking place on unceded territories of the Coast Salish. Moreover, this event is proudly sponsored by the B.C. Arts Council, Metro Vancouver Regional District, City of Vancouver, ITMB, Telus Communications, Kambria and Anh and Chi Restaurant. 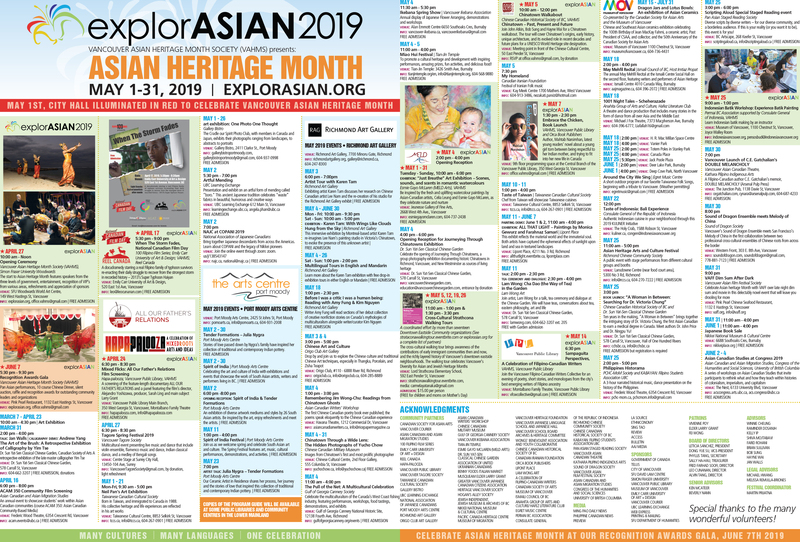 We would also like to thank our community partner, the Vancouver Asian Heritage Month Society (VAHMS) for its support.